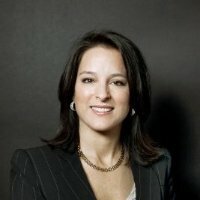 Mercedes Abramo was appointed President and CEO of Cartier North America in June, 2014, prior to which she served as Vice President of Retail for the Maison in North America. Abramo oversees the strategy and operations for Cartier in North America including 35 boutiques, an e-commerce boutique and more than 150 specialty retailers.Abramo has been with Cartier North America since 2008 serving as the Director of the flagship Fifth Avenue Mansion and AVP of New York Retail overseeing all New York boutiques. Abramo has more than 20 years of retail, hospitality and luxury goods experience and has held management positions with Tiffany & Co. on Fifth Avenue, Ritz Carlton Hotels and Loews Miami Beach.Abramo serves on the board of directors of Jewelers of America and the advisory board of the Luxury Education Foundation, a public not-for-profit organization that focuses on educational programs for undergraduate and graduate students in Design and Business related to the creation and marketing of luxury goods.Abramo holds a bachelor’s degree from Sewanee: The University of the South and an MBA in International Luxury Brand Management from the prestigious ESSEC Business School.